Where does disc golf come from? Crazy recreational freaks from the USA developed in the early '70's what is now known as the sport of disc golf. The building block of disc golf was the patent of the first chain basket target and the opening of the first course in 1978 in Oak Grove, California. 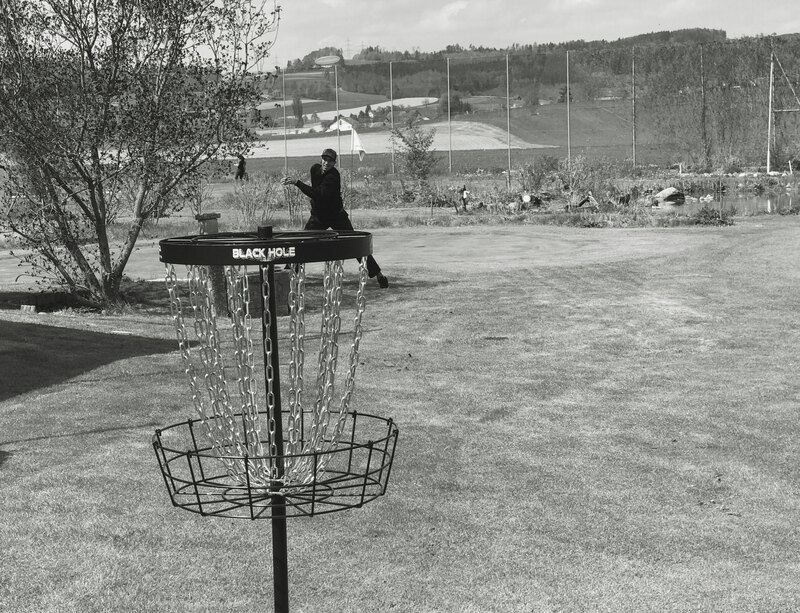 Starting around this time, many recreational parks around the world started building their own disc golf courses for public use. 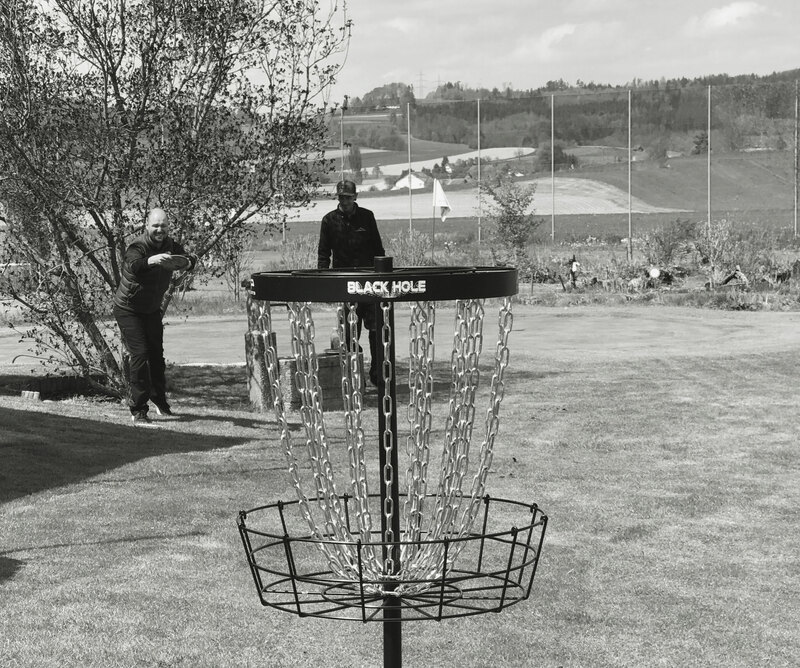 In Switzerland, at this time, there are about 20 disc golf courses. With the founding of disc golf courses, the founding of disc clubs and associations shortly followed. 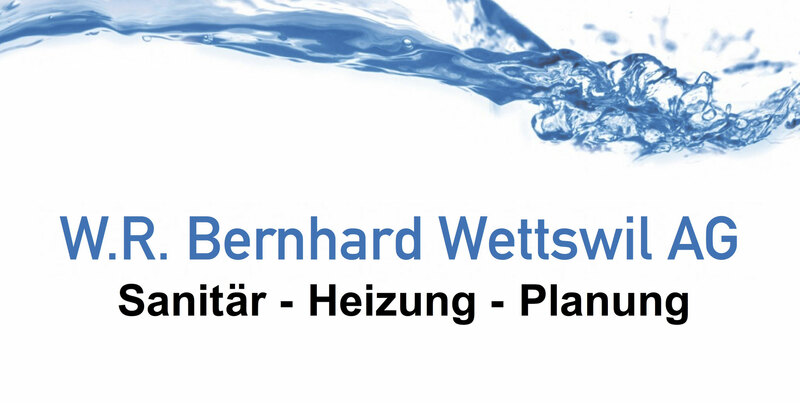 The Swiss Disc Golf Association was founded in 1984 and has about 120 active members. The number of worldwide disc golfers is believed to be around a few million and the trend shows that the sport is growing with new courses opening steadily. How do you play Disc Golf? 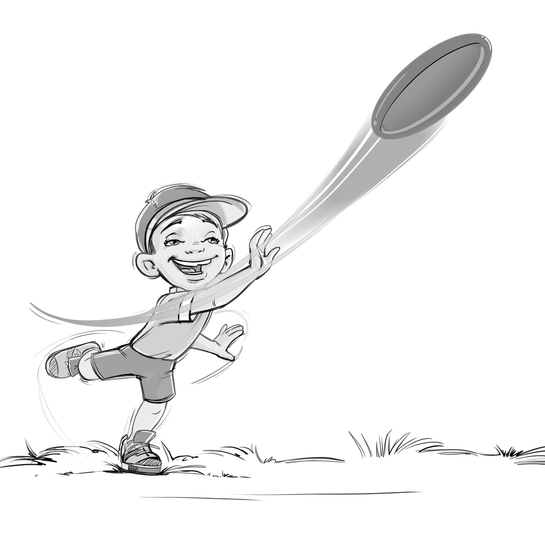 The goal of the game is to get through the course with as few throws of the disc as possible. A player throws a disc towards the goal (the chain basket) from a tee. The chains are on the basket to stop the flight of the disc and "catch" it in the basket. Unlike golf, the position of the landed disc is always marked, and the player can always choose another disc to throw on his or her next turn. The player marks the position of the thrown disc with a small mini-disc. 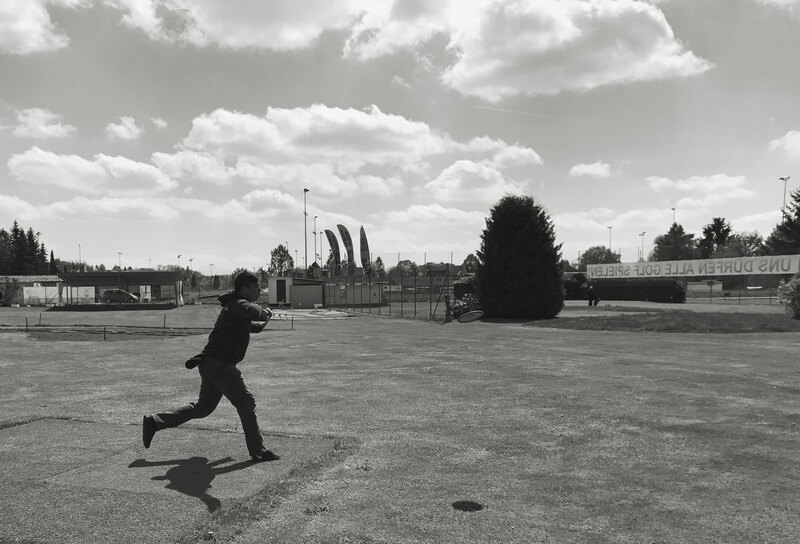 The length of a fairway in disc golf is between 80 and 250 meters long depending on the type of course, whether meant for beginners or professionals. The difficulty of a particular pathway is not only measured by the distance, but also the hazards or obstacles along the way like trees, bushes, and the terrain. 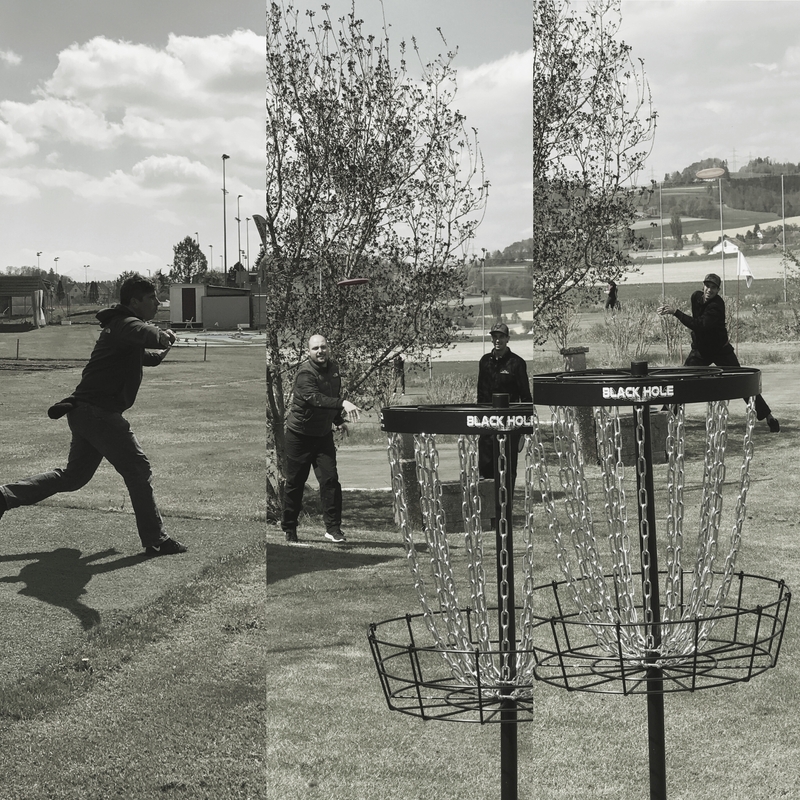 When the player hits the target with his or her disc and lands it successfully in the basket, the players move to the next tee box. Disc golf follows, in principle, the same rules as golf, but uses aerodynamic discs instead of balls. These discs are made from plastic, have a diameter between 21 and 23 cm and weigh between 130 to 182 grams. There is a selection of about 100 different disc types to choose from, depending on the desired aerodynamic and flight wished from the player. 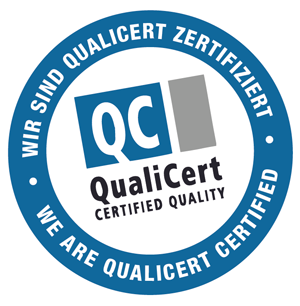 Like a golfer chooses his or her clubs, a disc golfer chooses different discs based upon the length of throw desired, for example: a driver, approach or a putter. 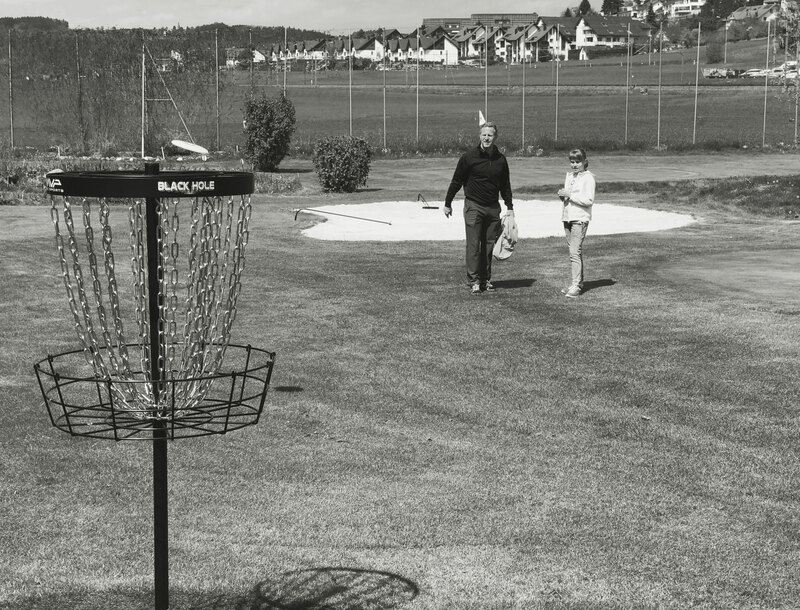 The player takes between 10 and 15 discs with him or her on the course. All discs have been approved by a special committee from the PDGA. Disc golf is not only a sport which can be played in clubs and tournaments, but also a great hobby for the whole family, and a great leisure activity for clubs and businesses. Come by and try out how well you can throw the discs!